Rocky Point Surveys LLC handles all varieties of marine surveys for insurance and financing purposes. In business since 1980, we take pride in the high quality of our work as well as the outstanding service experience we provide to all of our customers. A marine survey is a detailed inspection of a boat, performed for the purpose of determining the vessel’s current condition and seaworthiness. Ideally, this inspection should be performed by a highly qualified, diligent, intelligent and honest marine surveyor, with the end goal of determining whether the vessel is safe to use in the conditions for which it was designed. Additionally, a marine survey in Alaska should indicate whether maintenance or repairs are required, or whether they may be necessary in the near future. We are full service marine surveyors for all types of vessels. 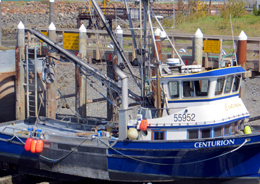 We’ve been a locally owned business in Homer, AK since 1980. We belong to a number of prominent professional organizations, including the American Boat & Yacht Council and SAMS. Our surveys are trusted by countless financial and insurance institutions. We pride ourselves on high quality surveys and excellent customer service. "If you want a marine survey for your vessel, you've come to the right place."